Hot Tub Dealer Near Des Moines, Iowa Selling Portable Spas and Swim Spas Publishes Guide to Help People Be More Positive. Offers Free Hot Tub and Swim Spa Test Soaks to Local Residents. Des Moines, United States - October 21, 2018 /MarketersMedia/ — Hot Spring Spas of Iowa and Minnesota, a 5-store hot tub, swim spa and sauna dealer with showrooms in Des Moines, Carroll and Arnolds Park shares 3 Quick Ways to Be More Positive. Expect the Best – Being positive has its own powerful benefits. Just the act of having a positive attitude increases a person’s ability to believe that good things will happen - even during tough times. Consumers wanting to learn more about hot tubs and how they can help improve overall health and well-being are encouraged to pick up a copy of this free hot tub buyer’s guide, 7 Critical Questions You Must Ask Before You Buy a Hot Tub. Just call 515-270-8702 or visit the company website for more information at https://HotSpringGreen.com. 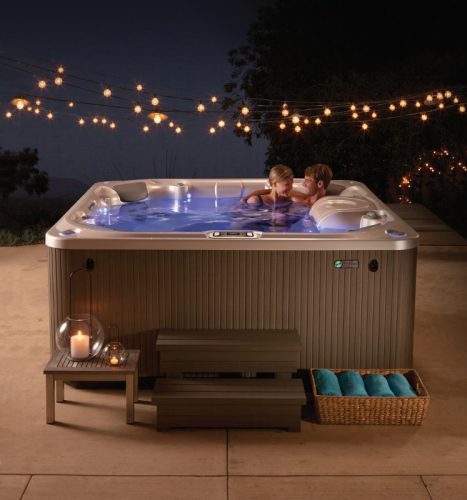 Hot Spring Spas of Des Moines and Minneapolis offers a large selection of new and used hot tubs and saunas for sale. They are the area’s and Iowa’s premier source for Hot Spring Spas and Hot Tubs, Endless Pools, Saunatec and Finnleo Saunas, A & B Backyard Accessories, and proudly carry the SilkBalance for Spas water treatment system. To learn more, pick up a copy of this free buyer’s Guide, 7 Critical Questions You Must Ask Before You Buy a Hot Tub. Just call 515-270-8702 or go to https://HotSpringGreen.com.